The map uses Digital Elevation Model (DEM) on its background. 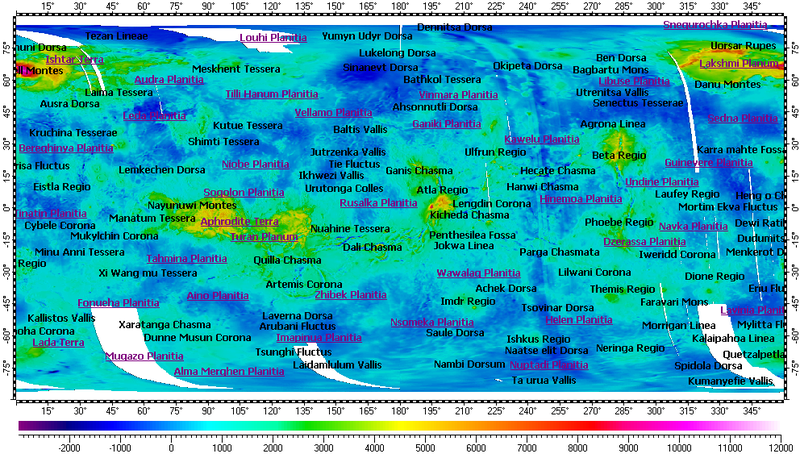 The DEM derived from Global Topography Data Record of Magellan mission and has resolution 45/1024°. Installation archive “All vector layers of Venus”. Installation archive “DEM of Venus with resolution 45/1024°”.